For the first time the Jokers origin is revealed in this tale of insanity and human perseverance. Looking to prove that any man can be pushed past his breaking point and go mad, the Joker attempts to drive Commissioner Gordon insane. After shooting and permanently paralyzing his daughter Barbara (a.k.a. 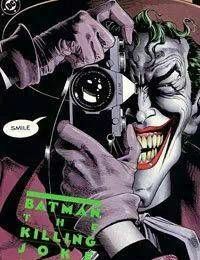 Batgirl), the Joker kidnaps the commissioner and attacks his mind in hopes of breaking the man. But refusing to give up, Gordon maintains his sanity with the help of Batman in an effort to best the madman.